Do yourself a favor, go buy this book! You can abandon this review now, head to your local bookstore (or favorite online marketplace) and just buy this one. It is that good. Rutkoski excels at world building. I was in love with the world she created in The Shadow Society and while reading The Winner’s Curse I was enraptured! I could feel the history oozing from the city, could see the war that took place between the Valorian’s and Herrani’s prior to the start of the novel. It has been a long time since I became so entrenched in a world. Kestrel is the daughter of a general, this leaves her two options join the military or marry. Kestrel isn’t too interested in either option, she isn’t a fighter but a strategist, and the marriage prospects in the city aren’t exactly amazing. Kestrel would much rather play the piano and live through her music. I really liked Kestrel’s mind, she was sharp, clever, and steadfast. She really surprised me as a character and felt like a real person. It was interesting how she viewed conquering nations, when it was her father’s job to do the conquering. While at the market Kestrel buys Arin. Arin is an incredibly multi-faceted character who you never really trust. Kestrel doesn’t treat Arin as a slave. She doesn’t treat anyone like a slave. It was really interesting to see Arin’s interactions with Kestrel and Kestrel’s interactions with the other slaves who live at Generals house. When a big plot twist occurs I loved seeing how Arin and Kestrel changed with it, while still remaining the same people. There is so much working against their relationship. They are from nations at war with one another and both of them are loyal to their people and countries. I really can’t imagine their love overcoming all that is working against them, there is just so much in the way. That is one of the reasons The Winner’s Curse broke my heart. I would be remiss if I didn’t mention how much I liked the secondary characters in this novel. Kestrels best friend and her brother were well fleshed out and added a depth to the story. I also loved the relationship between Kestrel and her father; they had their ups and downs. It felt very true to life. Honestly, I could keep going, listing paragraph after paragraph of things I loved about The Winner’s Curse. The writing is well done; the story is intricate and ticked all of my mental boxes for an amazing story. I can not recommend it highly enough. I finished The Winner’s Curse in November and I am still thinking about it. 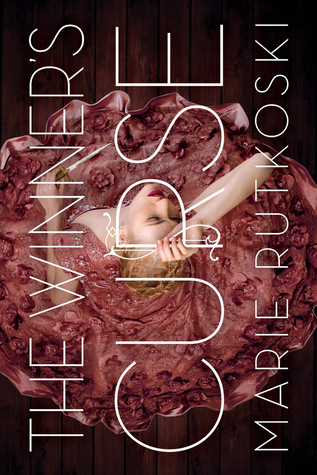 Do yourself a favor, run, don’t walk, to your nearest bookseller and read The Winner’s Curse! Yay! I'm glad you're liking it =D It was definitely one of my favorite books last year and I really can't wait for the sequel!